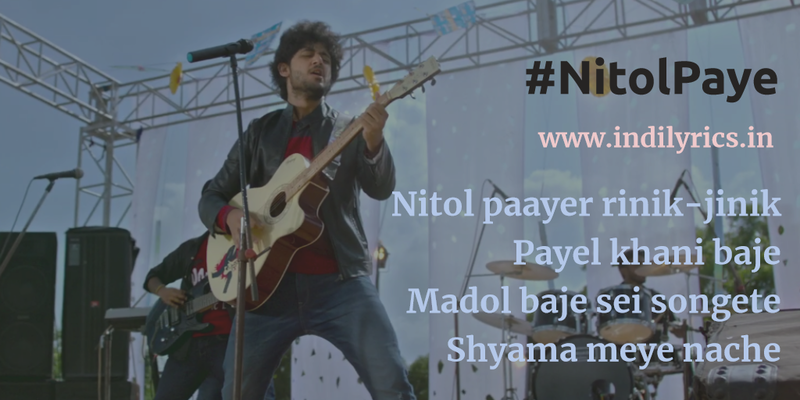 Nitol Paye Rinik Jhinik Paayel khani baaje song Lyrics with English Translation and Real Meaning Explanation from upcoming Bengali movie Prem Amar 2, the wonderful love song is actually a remake song, the song is originally composed by Fuad; Savvy tweaked the music, while the lyrics is penned by Meera Dev Burman & S D Burman, this Prem Amar 2 Nitol Paye version is sung by Imran Mahmudul, the music is available under the banner of Jaaz Multimedia. The movie Prem Amar 2 stars Adrit & Puja in lead roles, the audio mp3 version of Nitol Paye by Imran from Prem Amar 2 is free to download and stream from Gaana, Wynk, JioSaavn and other online music portals. Sonali abesh kobe sagor dhare.. In your heart with strings of love? Still not being felt in heart? Why did you not understand my love before? Why did you not love me before?